This book is a major contribution to the history of philosophy in the later medieval period (1250-1350). 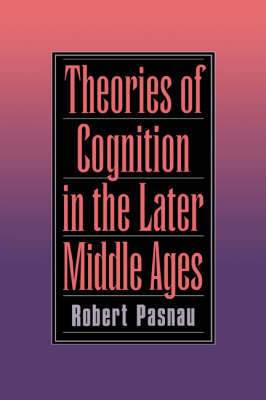 It focuses on cognitive theory, a subject of intense investigation during these years. In fact many of the issues that dominate philosophy of mind and epistemology today - intentionality, mental representation, scepticism, realism - were hotly debated in the later medieval period. The book offers a careful analysis of these debates, primarily through the work of Thomas Aquinas, John Olivi, and William Ockham. Each of these figures attempts to reconceptualise cognition along direct realist lines, criticising in the process the standard Aristotelian account. Though of primary interest to medieval philosophers, the book presupposes no background knowledge of the medieval period, and will therefore interest a broader community of philosophers concerned with the origins of contemporary cognitive theory.